What to look for when buying a used Chevrolet Equinox? The Chevrolet Equinox was introduced in the 2005 model year as a midsized crossover-SUV (CUV). This five-door offering seats five and is one of Chevrolet's more affordable crossovers. It has gained a reputation for affordability, fuel economy, and family friendliness. The Equinox was the first Chevrolet-branded crossover. The Equinox has also been used as a platform for experimental and concept vehicles including advanced powertrain development such as hydrogen fuel cells and batteyr-electric vehicles. Also on offer in limited, special order numbers was a compressed natural gas (CNG) version of the Equinox from 2013 to 2014. The first-generation Equinox was produced alongside its twin at Pontiac, the Torrent. The unibody platform used was shared with the Saturn Vue and Suzuki XL7, though many differences remained as well, including a larger exterior and interior for the Equinox and Torrent. Front-wheel drive was standard and all-wheel drive was optional. A V6 powerplant was the only option with a five-speed and then six-speed automatic transmission being mated, depending on model year. In 2010, a second-generation of the Chevy Equinox was introduced with the Pontiac variant having been dropped when the Pontiac nameplate was retired. A new, stiffer platform was added as were new, gasoline direct injection engines for better performance and economy. Also newly added was a four-cylinder engine option, a 2.4-liter offering. A six-speed automatic was used either both the four and six-cylinder engines and front-wheel drive remained standard with AWD as an option. This second-gen Equinox is the third best-selling Chevrolet model in North America. A new-generation Chevy Equinox was introduced as a 2017 model as a smaller option in lieu of a new midsize CUV entry which will take its place in that market. Most Chevrolet Equinox problems, reported by consumers, are at mid-mileage (65,000 and above) for the first-generation of the crossover. Problems include excessive oil consumption, heater core failures, and blown head gaskets. What Chevrolet Equinox model year and mileage can you get for your budget? The 2019 Chevrolet Equinox is one of the newer compact crossovers on offer right now. Redesigned in 2018, the Equinox sees a few changes for this new model year, but remains the same staid performer with no fewer than three engine options, including a fuel efficient diesel. Yet the Equinox competes in a segment that is rife with excellent choices. 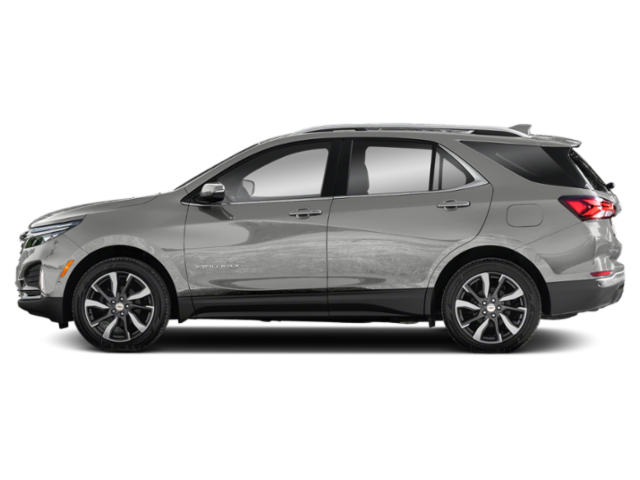 For the 2019 model year, the Chevrolet Equinox receives an updated infotainment interface, available adaptive cruise control, and a new LT package upgrade called Lights and Brights. The Equinox retains its reputation for a smooth ride, comfortable interior, and predictable handling characteristics. There are some downsides to the new Equinox as well, but consumers may overlook many of those given the low entry price for the crossover and some of its near-exclusive engine options. The 2019 Chevrolet Equinox seats up to five as a compact three-row crossover. There are four trim choices for the Equinox, starting with the base model L and moving through the LS, LT, and Premier points. The top two trim points have three engine options available. The 2015 Chevrolet Equinox is a five-passenger, two-row small to medium crossover from General Motors. Highlights are its high safety ratings, excellent interior, and strong quality ratings. A robust exterior look and high EPA fuel economy ratings are attractive to buyers, though in the real world, these may not be as compelling as they seem. In all, we like the Equinox for its long-term appeal and find that, despite its aging design, it's a surprisingly competitive offering in the small crossover segment.